High snow-capped mountains, lakes, magnificent landscapes and incredible greenery; Switzerland will seduce with its many features. This beautiful country nestled in the heart of the Alps is full of beautiful ski resorts, trekking opportunities, and luxurious boutique towns. Do not forget to visit ancient monuments such as the Bellinzona Castles. Geneva, also the capital of watchmaking, is a vibrant cosmopolitan city well worth seeing. If looking for atmosphere and animation, the Lausanne is famous for its festivals and countless museums filled with period remains. Zurich and Bern are also unmissable cities. Last Updated: December 14, 2018 11:58 ESTThe Health tab was updated - travel health notices (Public Health Agency of Canada). Medical care is of high quality in Switzerland, and Public, semi-public or private hospitals are well-supplied with medical products and supplies. The sanitary equipment also meets international standards. If you are in search of a public hospital, seek treatment at the University Hospital of Geneva or the University Hospital Vaudois. Semi-private health services will provide you with both pre- and post-hospital treatment care and rehabilitation. You will be able to find the necessary medicines for all types of diseases in Switzerland. Not only do pharmacies private basic and specific pharmaceuticals, but these products are also sold in hospitals. To call for emergency medical services, dial 112. 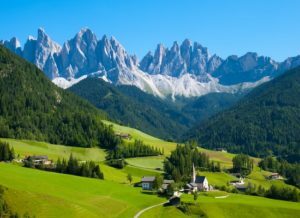 Is Switzerland Safe for Travel? Only a passport is required to enter Switzerland for trips under 90 days. Your passport must be valid for at least 3 months beyond the date of departure. Please note that Switzerland is a part of the Schengen area, which allows crossing its countries borders’ freely. However, all the countries within the Schengen Area are restrained to a cumulative stay of a maximum of 90 days per period of 180 days. Longer trips will require a visa.